Victor Rodrigues, psychologist, 56 years old, owns a Ph.D. in Psychology from the University of Lisbon, and is a Psychotherapist since 1985, using a Psychology of Consciousness approach (or Transpersonal Psychology) which may involve use of Regression therapy, Hypnosis/relaxation techniques, Breathing Techniques, Meditation, Guided visualization, among others. He taught Educational Psychology at the Faculty of Psychology and Educational Sciences, University of Lisbon, for 14 years and then lectured at the Nursing school in Evora and at the Faculty of Humanities and Social Sciences at the University of Algarve (Developmental Psychology). 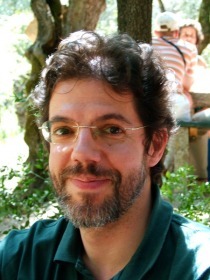 He was President of the European Transpersonal Association (EUROTAS) from 2005 to 2009 and of the Luso-Brazilian Transpersonal Association between 2003 and 2009. He was the Coordinator of the European Committee for Certification and Accreditation of EUROTAS, 2000-2013. He is the author of twelve books, one of which under pseudonymous, and various scientific articles. He often leads workshops or teaches courses in Portugal and other countries on topics related to Psychology of Consciousness, such as Regression Therapy, Meditation and Relaxation, Parapsychology, Psychic Protection, Management of Stress and Emotions. He is also the creator of Awakening Transpersonal Psychotherapy (ATP).